You can take an immigrant out of his country, but can you take his country out of him? Mr Dhanabalan, who was the National Development Minister when the Ethnic Integration Policy was introduced in 1989, was taking part in a radio forum on MediaCorp's 938Live. Singapore's Ethnic Integration Policy was implemented to ensure a balanced mix of different ethnic groups. This is to prevent the formation of ethnic enclaves in public housing estates. The aim is to promote racial integration and foster harmonious living among ethnic communities. In this excerpt, he also speaks about rising religiosity and the need to focus on what Singaporeans have in common, rather than emphasise the differences. Fundamental to Singapore's history and national identity is that we are an open and inclusive society, and we must always remain so. One possible outcome is that PRs and new citizens who share the same country of origin may converge on certain residential areas to form exclusive communities and social networks. Anecdotal evidence suggests that this is already happening with Indian nationals. New citizens who live in such exclusive communities may not necessarily share common experiences with ordinary Singaporeans and may have little incentive to integrate. Ties to their country of origin may continue to be strong. The question then is, will there be measures, perhaps akin to the existing Housing and Development Board ethnic quota policy, to ensure that new Singaporeans do not converge according to their country of origin? This, and other questions, will require definite answers long before 2030. Singapore is the only place in the world where new immigrants are given citizenship first before they integrated into society. This is also why there are aplenty of integration woes from Singaporeans denial to accept Olympic-winning Chinaporean sports talents to a Chinaporean hanging China flag during Singapore National Day period. The ease of getting Singapore citizenship also contributed to the integration woes with Chinaporeans like Feng Tian Wei getting fast-tracked citizenship in less than 2 years. Is that you? Are you brave enough to confront the problems in your country? Look ahead to 10 million people by 2100? Singapore should look beyond 2030 and plan for a more distant future - perhaps even one with 10 million people, former chief planner Liu Thai Ker said at a public forum on Saturday. "The world doesn't end in 2030, and population growth doesn't end at 6.9 million," he said, referring to the planning parameter in the Government's White Paper on Population. The new wave of Chinese immigrants, however, speak with a northern accent and possess a different vernacular and culinary culture, which make them distinct and more difficult for Singaporeans to accept. Won't allowing in more immigrants from the southern provinces of China, with whom we share more common understanding, help them to assimilate with greater ease, while also facilitating greater acceptance? Possibly, too, a similar situation applies to immigrants from the Indian sub-continent. Wang Quancheng, the chairman of the Hua Yuan Association, the largest organization representing mainlanders, said the government was not doing enough to help integrate new arrivals, but he also blamed Singaporeans for their intolerance and said many were simply jealous that so many Chinese immigrate here with money in their pockets. Although our government is right in calling upon Singaporeans to be more big-hearted and less narrow-minded in accepting foreigners, this sensible message is not going to go down well with Singaporeans unless the government accepts its fair share of blame for its terrible execution of the immigration policy. My subsequent paragraphs will sound critical to the government but I am not criticizing for the sake of letting off steam. I sincerely feel Singaporeans' support for the government's sensible messages is vital to solve the foreigner problem. However, the government has to earn back our trust and the admission of their own mistakes is a first step to doing that. The massive excessive influx of foreigners in a short time has created serious social divides within the Chinese and Indian segments of the population. The Malays feel alienated or even threatened as their numbers become fewer due to the influx. The Chinese segment is now divided between native Chinese Singaporeans and PRC foreigners/new citizens/PRs. The Indian segment is now divided between native Tamil Singaporeans and the non-Tamil non-native Indians. The problem may be worse for the Indians as some fair-skinned Indian foreigners may not have totally shed ancient notions of the Caste system and still carry a sense of superiority over our darker-skinned fellow Tamil Singaporeans. I am not an Indian. Can a fellow Indian Singaporean comment on my worry? Singaporeans and immigrants both have a part to play in helping the newcomers to settle down in our country. That means employers, community and grassroots leaders, student leaders, and Voluntary Welfare Organisations (VWOs) have to work together with the immigrants to build social ties and fit into the Singapore landscape. That was what Ms Grace Fu said in Parliament yesterday, Channel NewsAsia reported. The message is that it is not just the Government who has to do the job of integrating immigrants into society. Singapore set up on Wednesday a fund of 10 million Singapore dollars (about 7.1 million U.S. dollars) to create more opportunities for immigrants and locals to enhance understanding. Singapore's National Integration Council said that the community integration fund will provide co-funding of up to 80 percent for integration projects over the next three years. Integration projects refer to projects that provide opportunities for newcomers and locals to interact and communicate with each other, and improve their understanding of each other's culture, values and norms. The council said the fund will help to ease the constraints currently faced by organizations interested in organizing integration projects but lack the required resources to do so. The Fund is open for application to all Singapore-registered non-profit organizations, societies and private companies. Today, Singapore society is pulled apart by several polarizing forces - widening gap between rich and poor, unbalanced distribution of political power brought about by years of semi-authoritarian rule, and a sudden large influx of foreigners have caused integration issues. Loyal Singaporeans feel a need to pull our society back together to be "one people" with a common purpose. This goes beyond the "inclusive society" envisioned by our leaders that merely tries not to leave anyone out. We want our roots to grow deeper ...extend and inter-wine with that of our fellow Singaporeans...we want shared success. measured by how well we care for the weakest, poorest and sickest among us. We want a society where people will fight for others willing to defend their fellow Singaporeans not only in war but also help each other during peacetime when they are economically exploited or unjustly treated or left behind by progress. We have to create something worth defending and that something is not the skyscrapers that makes up our impressive affluent skyline but something intangible that is planted in the heart of every Singaporean...that makes Singaporeans to do something for each other because they feel they are much more than individuals because they are part of something bigger and more important...part of something that will be handed to future generationss - our common identity, our values, our ideals, our Pledge...One people, One Nation, One Singapore. What is particularly important is that Singapore actively manages the type of immigrants it brings in. A targeted policy to attract immigrants based on particular skill and resource needs, in areas where there is a shortage of locals, will have positive impact on growth; but these resource gaps must be carefully defined and continually updated as Singapore’s economy develops over time, global demands change and demographics alter. The social and political impacts should also be managed. Suitable immigrants should be willing to sink roots and grow their families here. It will be important to create a national consensus around the need for integration and to encourage greater acceptance of immigrants. While Singapore already works hard to ensure that ethnic diversity is valued and social cohesion encouraged, it should consider developing a multicultural social cohesion policy which is fully integrated with the city’s strategic planning processes. There would be well-defined objectives and initiatives, with periodic monitoring of their implementation. As if Singaporeans did not have enough social problems to grapple with, such as the influx of foreigners, overcrowding and the Population White Paper debate, the Eurasian community have discovered that they are facing somewhat of an identity crisis. On Saturday (23 Feb), 50 to 60 Eurasians met for lunch at the Eurasian Community House where they discussed the role of the Eurasian community in present and future Singapore. The pow-wow was organized by the Eurasian Association (EA) as part of the government’s National Conversation. Starting at 12.30 pm, it went on well into the afternoon, lasting more than three hours. Invited were Minister in the Prime Minister’s Office and MP for West Coast GRC S. Iswaran, who represents the Eurasian community in Cabinet, and MP for Holland-Bukit Timah GRC Christopher de Souza. STOMPer This is Singapore came across a picture online of a Philippines national flag being displayed outside their house unit. Said the STOMPer: "Under the National Emblems (Control of Display) Act (CHAPTER 196), displaying of any National Emblems in public is strictly prohibited. STOMPer Gregory was concerned to see this China flag hung at the Kopitiam outlet at Pasir Ris West Plaza. "Kopitiam at Pasir Ris West Plaza was having a Live big-screen screening for the Chinese F1 2011 Grand Prix last weekend. This picture of a Chinese flag apparently hung on a HDB block was spotted on a local forum by iceboyboy. The picture has been making its rounds on the internet today (Oct 1), which is China's National Day. China celebrates the 60th anniversary of the founding of the People's Republic of China today. An elaborate ceremony was held at Tian'anmen Square in the heart of Beijing to commemorate 60 years of Communist Party rule. Why China flag up in NTU? Don't they know that this is illegal? "I was on the bus 179 when I saw this flag displayed outside Hall of Residence Two, Block One. "I took a snap and did a search on it. STOMPer Ian was amused by the sight of this tour group at Downtown East bearing a giant Vietnamese flag. The STOMPer wrote: "Is the Communist Party 'invading' Downtown East? S'pore's National Day is approaching -- so what's up with this Swiss flag? STOMPer Gary commented: "Swiss National Day?" A TRE reader has just sent in this photo. It showed a British flag displaying at the Casa Jervois Condo at 99 Jervois Road. Police investigate woman who put up China flag: What about this Spanish one? STOMPer Kalze noticed this Spanish flag hanging from a balcony at a condominium along Bukit Timah Road. The STOMPer wrote: "Is this illegal too? While Singaporeans were anticipating the nation's National Day, STOMPer Disgrace saw something that irked her -- a flag that looked more like the Indonesian flag than the Singapore flag. The STOMPer, who took the photo on Aug 7, said: "My friends and I were slacking the other day and coincidentally saw this flag which was an eyesore -- was this the SG flag or the Indonesian flag?" Hey, it's S'pore's birthday. Why hang Indonesian flag? STOMPer KAyPOhKiANuM1 saw this flag, which looked like the Indonesian flag, in the Choa Chu Kang area. He said: "This was founded in the Choa Chu Kang area...it was quite funny. The Sedition Act has made its comeback. The last time it was used was in 2008 when a Christian couple deliberately distributed Christian material to Muslims for conversion purposes. The sentece was 8 weeks jail. However, it was the Internet that paved the way for the Sedition Act to reappear as deterrence and punishment in 2005. In three cases that year, three individuals were charged with the Sedition Act for making anti-Malay and anti-Muslim Internet postings. The sentences were a day in jail and fine, a month in jail and one 24 months of community work. Hence, being charged and sentenced under the Sedition Act is not as horrible as being charged under vandalism. This week, cartoonist Leslie Chew from Demon-cratic was charged with the Sedition Act supposedly for his comic insinuating that the PAP government was racist and marginalised the Malay community. Leslie might be a mediocre comic artist and his comics are not slick compared to My Sketchbook or Cartoon Press, and even quite one-sided with a huge dosage of populist naivety e.g. when he dumbed down the foreign labour argument. However, although he is a so-so and shallow political commentator, he is not seditious, compared to those sentenced in 2005 and 2008. Even Amy Cheong , who was let off with a warning, was more seditious than Leslie as Amy was outright racist in her comments. 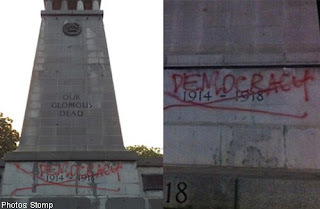 The phrase "this is no drill" could aptly describe the manhunt for the person(s) who defaced the Cenotaph war memorial in the heart of Singapore city with red spray paint. After just three days, the Singapore Police Force (SPF) paid a visit to the suspected vandal, a 32-year-old man. The look on his smug face when that knock on the door came would be a work of art. There he is in the picture (above) released by the SPF. The SPF said today that officers from Central Police Division nabbed the suspect at about 11:30am this morning. The SDP is concerned about recent legal actions or threats of legal action issued by various Government departments. Websites such as EDMW Loves Singapore and The Real Singapore that had commented or carried comments on the outcome of the courts were ordered by the Attorney-General's Chambers to remove the offending posts. The Council for Private Education has threatened a 21-year-old blogger with a defamation lawsuit for comments related to the Council. Cartoonist, Mr Leslie Chew, was arrested for sedition and questioned for almost three days over his cartoons. Freelance journalist, Ms Lynn Lee, has been warned that action may be taken against her for filming SMRT bus drivers who were convicted for going on a strike. Race and religion form the third rail of Singapore politics. They lie in the deep, dark recesses of our national life, ready to strike the reckless and the ignorant with an untamable force. Most Singaporeans – even many liberals – believe that freedom of expression should not apply in the vicinity of this third rail. As a result, they not only accept the laws that govern racially or religiously offensive speech, they have even been known to push for strong enforcement. Now, a 37-year-old cartoonist Leslie Chew is under investigation for a possible breach of the Sedition Act. One of the cartoons that apparently earned the authorities' attention attacks the "racist government" of "Demon-cratic Singapore", including a leader who "abhors Malays". No reader would have the slightest doubt that this is a criticism of the Singapore government's race policies, so protestations that this is a purely fictional strip are unlikely to impress any judge. However, let's hope that the case doesn't get that far. While the law gives the authorities the green light to take forceful action, that does not mean they have to go all the way. What does DPM Tharman make of all the online critics of the Government? He says some bloggers are quite thoughtful, but there needs to be more balance still. ST: What do you make of the harsh views of the Government and on its policies on so-called anti-Government websites and Facebook pages? Do you take them seriously? A: Well, it cannot be ignored and I think so far, on balance, the fact that you've got an active social media is a plus. It'll go through phases. I think it's still evolving. We're still in a phase where it is overwhelmingly critical of Government, not all, but overwhelmingly, and that I think it is understandable. You know, that's the way it starts. And I think there are now more serious bloggers and some very thoughtful bloggers who have views of their own that are not just motivated by wanting to hit at the Government but they want to express their thoughts and they're worth reading and listening to. Over time, hopefully, there will be a bit more of a debate, an even debate in the online media. We don't have it yet but you can see it gradually emerging and that's a situation that I think we want to come to. It is a plus that you have social media because a lot more people are involved in commenting and thinking about issues but it's got to evolve further, so that it matures and you've got a more even-handed disposition. In the first case of its kind in Singapore, 21-year-old local blogger Han Hui Hui has applied to the High Court for a declaration that the Council for Private Education (CPE), a statutory body under the Ministry of Education (MOE), is not entitled to bring any defamation action against her. Her counsel, human rights lawyer M Ravi, is arguing that the freedom of speech and expression, enshrined in article 14 of the Singapore Constitution, protects citizens from any defamation proceedings by the government and public bodies. The right to sue for defamation is reserved only for individuals and private entities, and not public bodies. The CPE had threatened Ms Han with defamation proceedings by way of letter of demand through their lawyers, Allen and Gledhill, following two emails they received from Ms Han, which they regard as defamatory. Ms Han now seeks protection against this threat via the constitution and the ordinary laws of the land. Channel NewsAsia has reported that the Attorney-General’s Chambers (AGC) are considering whether to take action against documentary filmmaker Lynn Lee after the Ministry of Home Affairs (MHA) found that allegations made by ex-SMRT bus drivers in interviews she carried out were baseless. He Jun Ling and Liu Xiang Ying had granted interviews to Lee after they had been charged for inciting bus strikes in late 2012 that saw over 100 SMRT bus drivers from China refusing to go to work. It seems that in recent months, the government is beginning to move along in its new approach more decisively and speedily – by targeting the law at individual Singaporeans. This can be seen in the numerous cases that have already cropped up just in the first 4 months of 2013 alone, be them threats or arrests of individual Singaporeans. Second, transfer these successful ‘methods’ for the government’s own use. What do I mean by this? You can see the government use this in some aspects – in the sector of non-governmental organisations (NGOs), for example, the government had identified NGOs which are not in line with their wants and they would create new organisations to render these NGOs not in their favour irrelevant. 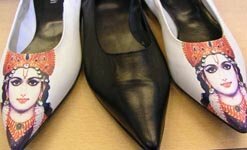 The image of a Hindu deity on a pair of shoes can be quite insulting. Shoes are often accorded a 'lowly' status and taking out one's shoes and waving it at another is considered both an insult as well as a threat. So, an image of Lord Vishnu on a pair of shoes would ordinarily (and should, objectively speaking) offend a Hindu. 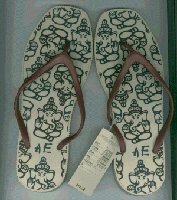 If having an image of a deity on shoes is bad, this image of Lord Ganesha on slippers takes the cake. WHAT'S THE STAND ON POLITICIANS SERVING IN NGOS AND VWOS? Unlike their international counterparts, Singaporean Youths here are unable to reach their fullest potential in being a changemaker. Community service is popular among my peers in Singapore. However most people’s impression of it is confined to managing the effect of policies i.e. help the poor, help the animals. If youths want to speak out against government policies and decisions, they have to do so through govt-regulated platforms such as writing letters to our state-controlled mainstream media; participating in PAYM forums, Singapore conversation or the grand school organized “ministerial forums” and “dialogue sessions”. Thus, avenues for one to make a real fundamental change to policies which causing these effects are extremely limited. Many PAP MPs & NMPs rarely attend parliamentary debates while they attend to their lucrative professions and commercial directorships. Like Ms. Tan Shu Shan did not attend the initial 6.9M Population WP debate and vote and then, she attended later on to COS debate on need to import Foreign Talent. So, PAP MPs always have fullest and detailed statistics and down to %, number, growth rate, and etc, like they are the walking encyclopedia. Because PAP MPs have been appointed to the working -committees to get insight. 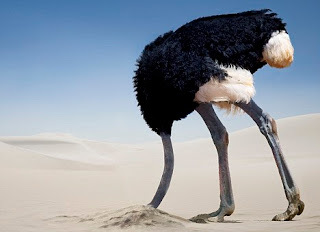 So, they are all singing from the same old song sheet without having to do detailed research, due diligence analysis, critical and independent thinking, going down to the ground to get the feel of people. That is why of all failed policies from PAP with no 20/20 hindsight – tunnel vision because everyone sings the same old song sheet with praises and muted feed backs. None offers any out-of-box analysis, thinking, new and innovative criticisms and suggestions. This also follows from the charges of mischief that the artist, Samantha Lo, aka The Sticker Lady and her ‘accomplice, Anthony Chong, are facing for “spraying the words “My Grandfather Road” on sections of Maxwell Road and Robinson Road” and pasting “circular stickers at public places … (which) bore captions such as “Press once can already” and “Press until shiok”.” They were initially threatened to be charged with vandalism. Silencing the online community, curbing civic activism? When people really organize their own ground up projects for causes they feel strongly for, they feel more connected to and have a sense of ownership over the cause. I feel that is akin to your wife/ girlfriend cooking for you or cooking together.. instead of dabaoing in a kopitiam as usual. By giving people more power to have a say and play a role in shaping their nation’s future, I believe it will increase their sense of ownership, belonging and love for this country. That is exactly what we need now when our national identity has been increasingly eroded due to internationalization. We would like to remind readers that comments that question the integrity of the judiciary are considered to be a contempt of court ; this includes implying that the courts are unjust, bias, unfair, corrupt, or any other similar allegations. We hope that this might clarify the issue for some readers to help prevent it occurring again in the future. Singapore's Attorney-General Chambers (AGC) has issued a take-down letter and demanded an apology from several websites over posts which it said cast doubt on the judiciary's integrity. 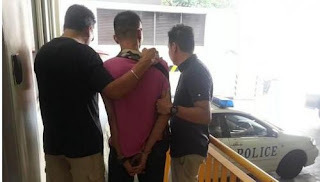 The websites and Facebook pages involved had suggested that a Singapore court had been lenient to Yuan Zhenghua, 31, who hijacked a taxi last year and crashed it into the driveway of Changi Airport's budget terminal, killing a Malaysian airport worker. Yuan, a technician, was sentenced by a district court to 25 months in jail Monday. Singaporeans took to Internet websites and Facebook pages to criticise the verdict, prompting the AGC to issue letters asking for an apology and that the postings be taken down.